Important: Beginning January 1, 2017, the federal education and textbook amounts have been discontinued (students will still be able to claim the tuition tax credit). If you’ve got unused education and textbook credits from years prior to 2017, you’ll still be able to claim them or carry forward these amounts for use on future returns. Refer to the Canada Revenue Agency’s (CRA) website for more information regarding these changes. Tax Tip: Even if you don’t have to pay income tax and you want to carry forward all or part of your tuition tax credit this year, you should still file your tax return on time so that the CRA can update their records with your unused credit amount. 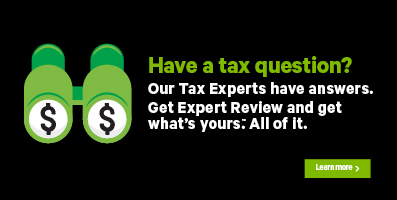 Follow these steps in H&R Block’s 2017 tax software to claim your unused tuition amounts from previous years. If you were a student in 2017, H&R Block’s tax software will automatically carry forward any of your unused tuition amounts for you. You’ll be able to see this amount on Schedule 11 of your completed return. Under the CREDIT AMOUNTS heading, select the checkbox labelled Tuition, education, and textbook amounts carried forward from a previous year. When you arrive at the page for your Tuition, education, and textbook amounts, enter your information into the tax software.